BlackBerry Colt, RIM’s first QNX phone details revealed! BGR reported today on RIM’s next-generation BlackBerry phone running the PlayBook’s QNX operating system has finally been revealed. 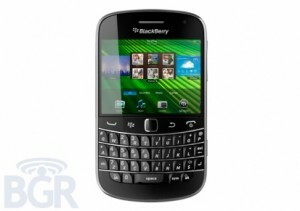 Codenamed the BlackBerry Colt, the device could make its way to consumers some time in the first quarter of 2012. But it seems RIM will apparently need to make some compromises to get the phone out the door so soon. According to BGR, RIM is aiming to include a single-core CPU inside of the Colt to maintain the long battery life BlackBerry users are accustomed to. Currently, most new smartphones are opting for dual-core chips, and we’re also hearing about quad-core phones coming next year. Additionally, the Colt may launch without support for RIM’s BlackBerry Enterprise Server (BES) — just like the PlayBook tablet. RIM is apparently hard at work building a version of its BES software for QNX systems, but it likely won’t be ready in time for the Colt’s launch. Ironically, the first companies to adopt the BlackBerry Colt may have to rely on Microsoft’s ActiveSync for Exchange email, which the Colt will support when it launches. We’ll likely see more details about the Colt popping up over the next few weeks. The Colt, and RIM’s future QNX phones, are expected to feature the same fluid touchscreen interface as the BlackBerry PlayBook. If anything, it means that future BlackBerry devices will be multitasking champions. But it’s unclear if consumers will find that reason enough to pay attention to BlackBerry once again. RIM last week launched 5 new BlackBerry phones, including the BlackBerry Bold 9900 and two Torch variants.